It's the last snow of the season, and the time is running out to get some covered bridge pictures before the last snow. The snows we have gotten this winter have either been so light to not make the trip worthwhile, or so heavy that I couldn't drive there safely. Come the perfect storm -- so to speak -- Friday. The heavy, wet snow had made us work from home, but the weather Saturday -- today -- would be so warm that traveling wouldn't be an issue. I only needed to find a bridge to get to before the snow melted, given I had to work in the morning. 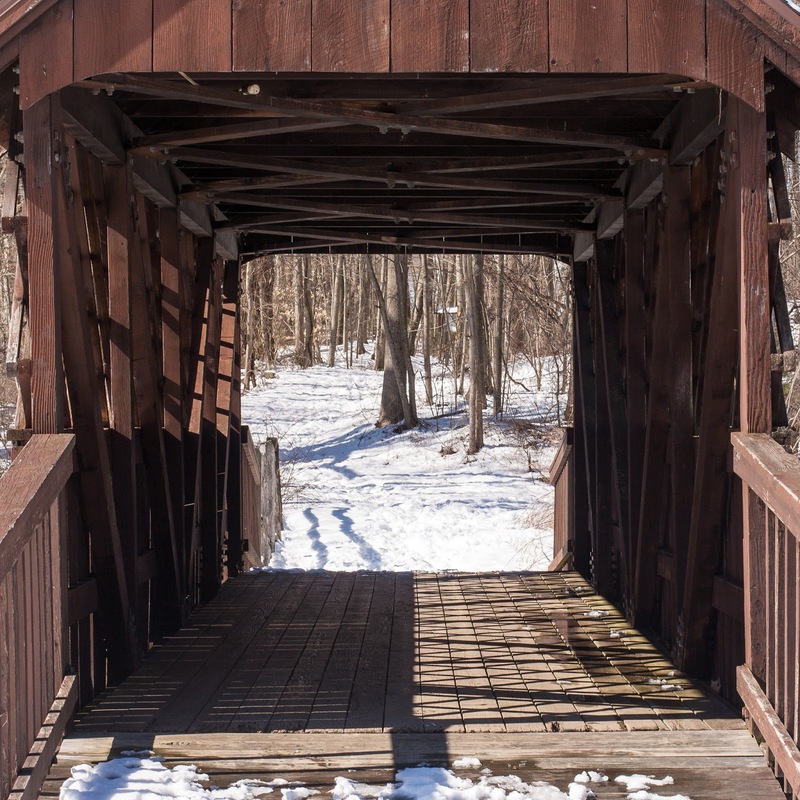 I've found a map that collects together all the covered bridges in New England, state by state. 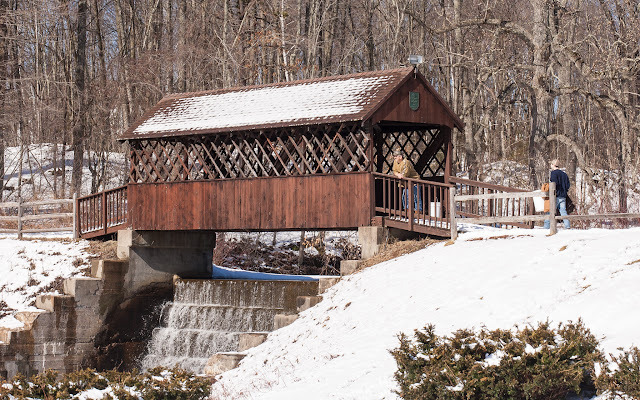 The closest covered bridge that I haven't already been to, was this pedestrian bridge in Avon. 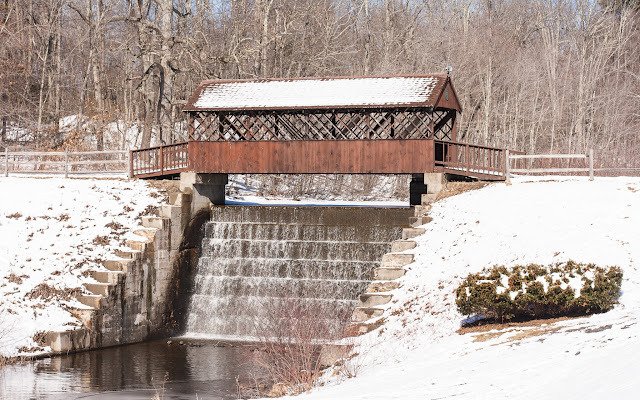 The Huckleberry Hill Bridge in Countryside Park was built in 1968 to cross the man-made pond and waterfall. At least one site claims it is a Town truss bridge, and I can see how they got that impression, because of the non-structural lattice. A look inside the portal clears it up, it's a Pratt truss bridge. I haven't posted since September; I have some bridges on deck that I wasn't terribly happy with, but will post. This year, though -- I'm gonna abuse the heck out of that covered bridge map.